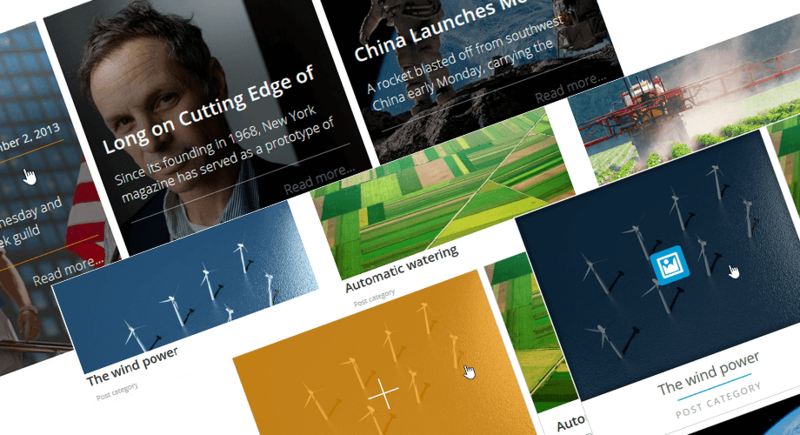 WP Latest Posts is a WordPress extension used to display your latest content in a smart way. Note: This support documentation contains information about both the free and commercial versions. It may include the feature you won’t have access to in the free version. Automatic content crop... and more! 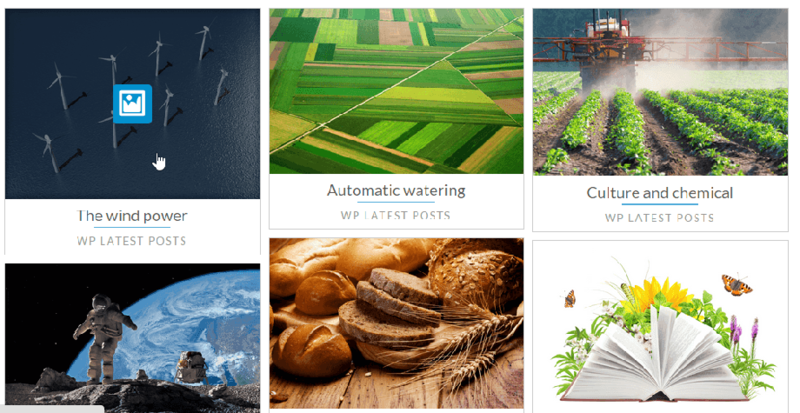 WP Latest Posts is composed of a free version, available on the plugin directory, and a paid one - an addon that contains additional themes and configuration. In order to install our plugin, you should use the standard WordPress installer or unzip and put everything in the folder in the /wp-content/plugin directory. The free version is available in the plugin directory and can be installed through the WordPress admin. Then click on activate plugin, to see the WP LATEST POSTS menu appear on the WordPress left menu. In order to update the WP Latest Posts plugin, you need to use WordPress' default updater. For the free plugin, it works automatically like any other WordPress free plugin. Click on update and you’re done. You can also remove and install the new version. In any case, you won’t lose any content because everything is stored in the database. Be sure to always have the latest version and addon package. You need to update both. To update the paid version, you need to login to your JoomUnited account from the WordPress settings: Settings > General. Then use your JoomUnited account login and password. After a successful login, the button turns to blue with the text “Disconnect my JoomUnited account”. Then finally, you can update all the JoomUnited commercial plugins from the WordPress standard updater. NOTE: The PRO ADDON is required to be updated along with the plugin itself. This is mandatory to maintain stability with all the WordPress core updates (like any plugin). The main idea of WP Latest Posts is to display your content the way you want using an instance of the plugin as a widget or in the editor. WP Latest Posts works on every WordPress WYSIWYG editor. For example, you can use it in post and pages. When WP Latest Posts is installed you have a left menu entry that allows you to add a new instance of a news block. Click NEW BLOCK to generate a new instance. Add a title and start the configuration. The configuration is divided into tabs. An ordering can be also defined for each content source. The display and theme tabs will offer options to set how your content will be displayed in this instance. In this example, there are only 10 articles because the page number is limited to 2. You have also a possibility to add a limit on the element number. Depending on the theme, some parameters may be set automatically. For example, for the smooth slider, you can’t set the column number - it's set automatically depending on the width available. In the default theme, you can now customize the Read more button, Overlay image, and Arrows' color. in the TEXT SETTINGS tab, you'll be able to define all the options related to the text display and functionality. Show title will add or remove the news instance title. The crop option will cut short your content, adding a read more button (eventually). You can crop your content using lines (in CSS), the number of words or chars. The ANIMATION tab helps you to configure if the slide effect will be enabled by default or not. The theme section helps you to define a display style that will be applied to this new instance, as the preview shows. In the default theme, you can use the item configuration block to add or remove some details. In the Grid and Category grid themes, you got an additional option to load more posts in AJAX. The image source configuration is about what and how to load images. You can define to load the featured image or the first article image detected in your content, and the thumbnail size. The 3 default WordPress sizes are available. A crop feature is also available to make the image fit exactly the size that you want. A margin value can be applied to each image to prevent text going over images. You can set a default image in case there’s no image in your content. The advanced parameters are used to set the date format or to override the read more text. A custom CSS field is also available to apply custom CSS on the news block. The <php> shortcode allows you to add your news instance inside a page layout, for example. With WP Latest Posts addon you get additional themes. The category grid theme is a masonry wall (nested news wall) with an effect on hover that displays the custom post type of your post. For example in the following image, it’s an image post type. In this theme, you won’t be able to select the number of pages, the pagination, the animation, and the content block position; for display reasons and to be fully mobile-compatible, this is done automatically. 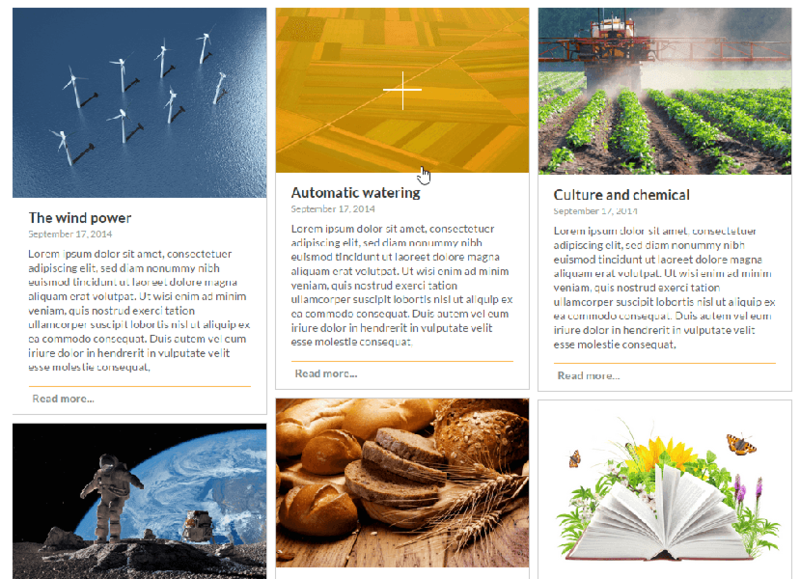 The Grid theme is a masonry wall like the category grid theme (nested news wall). The main difference will be the hover effect and that you’ll have the read more button and the date displayed. In this theme, you won’t be able to select the number of pages, the pagination, the animation, and the content block position; for display reasons and to be fully mobile-compatible this is done automatically. The smooth hover theme is an automatic slider theme. In this theme, you won’t be able to select the number of pages, columns, the pagination, the animation, and the content block position; for display reasons and to be fully mobile-compatible this is done automatically. The timeline theme is a theme to display your latest content as a timeline. The Portfolio theme is a masonry wall like the category grid theme (nested news wall). The main difference will be the bigger image when hovering. To add an instance you’ve previously configured, open a post or a page in any editor. You will get a new button dedicated to WP Latest Posts. When clicked, the button will show all the WP Latest Posts instances you have, and lets you choose one to include in your content. When a new instance is added, it materializes as a block in your content. 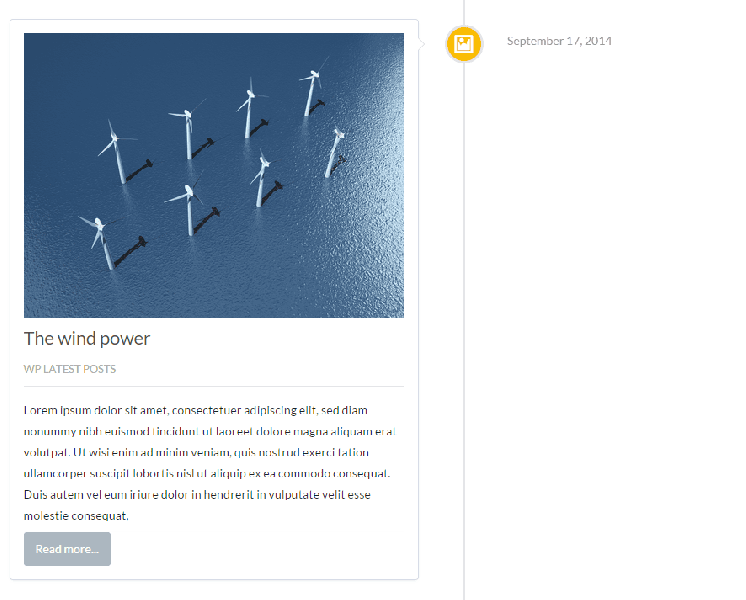 WP Latest Posts can also be displayed as a widget. In your widget manager, you should see a widget called WP Latest Posts Widget. Use it! The widget use is quite simple, just select the instance to be loaded. You can also display your latest posts block in Gutenberg editor. First, clicking on WP Latest Posts button in the Common Blocks section. Then choose one to show on your page/post.